Hey everybody. I came back from vacation last week and resumed work on the haulers implementation. We’re getting close and finally putting the last pieces of the puzzle together. 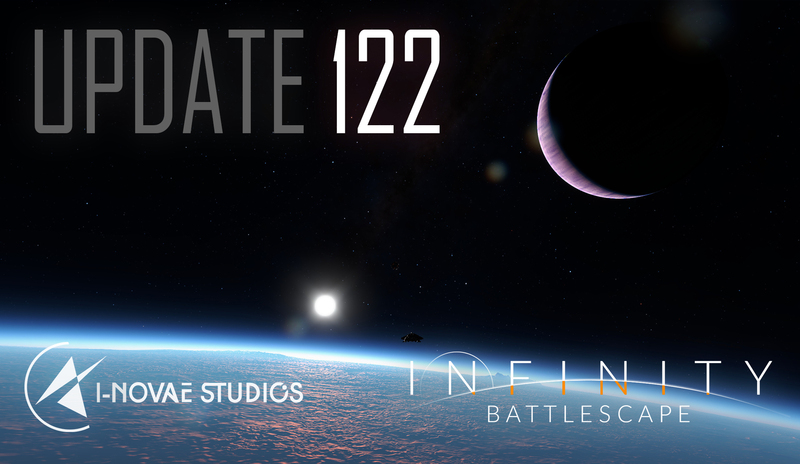 What remains is mostly bug fixing and polishing, so the next patch should come soon - current ETA is next Sunday, but it’s not 100% set in stone and could be delayed to the next week, depending on the amount of bugs and problems to finalize. One thing which took more time than anticipated was the spawning / despawning of the haulers. We encountered two major issues. One is related to the factory hangar module, whose entrance could not fit the hauler. We had rescaled the hauler months ago by a small factor ( 20% IIRC ) but didn’t check that the hangar door was large enough to fit the new rescaled hauler. Kristian is currently busy remodelling ( and adding more details while he’s at it ) this module. The second thing which we overlooked is docking haulers at space stations. The original plan was to reuse the capital ship docking modules, but they’re far bigger than a hauler, so a docking hauler looked out-of-place compared to the size of the module. In addition, these capital ships docks were designed for players, and allowing haulers to dock there generated potential conflicts with spawning players which would require more work to solve via some form of traffic control. For all of these reasons, we decided we’d need a dedicated hauler docking module, which Jan has been working on. All station layouts are currently being updated to add one or many of these hauler docking ports. On the topic of docking modules, we’re probably going to need to add a dedicated carrier docking module in the future, too. Since we rescaled the carrier and doubled its size, it no longer fits any of the capital ships docking modules, so at the moment carriers spawn in a random area around the space station. It doesn’t check for the presence of other players or ships in this area, so there’s potential for funky behavior there, but that will be addressed later on once we add dedicated carrier spawns. Dan has been doing some good progress on the interceptor spec-ops mercenary variant and added little winglets on the back sides. We’re getting pretty close to the final design now, and we hope you will like it. Keep in mind this ship is just a cosmetic variant of the normal interceptor and will have the same stats. 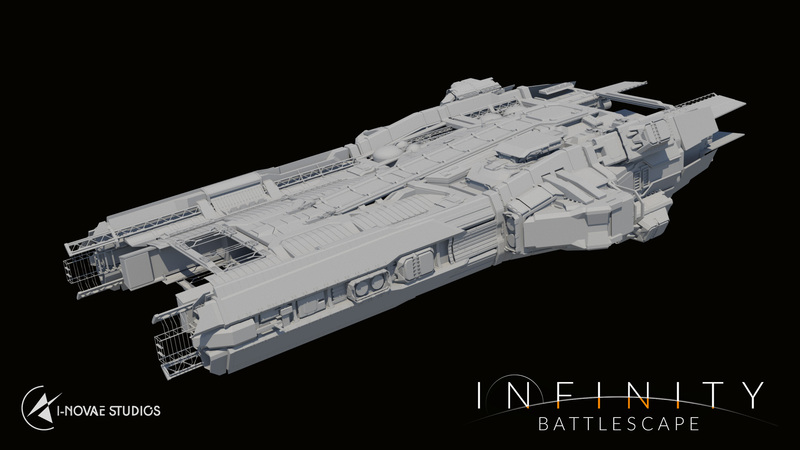 Jan has also been doing more work on the carrier geometry, as you can see in the render above. 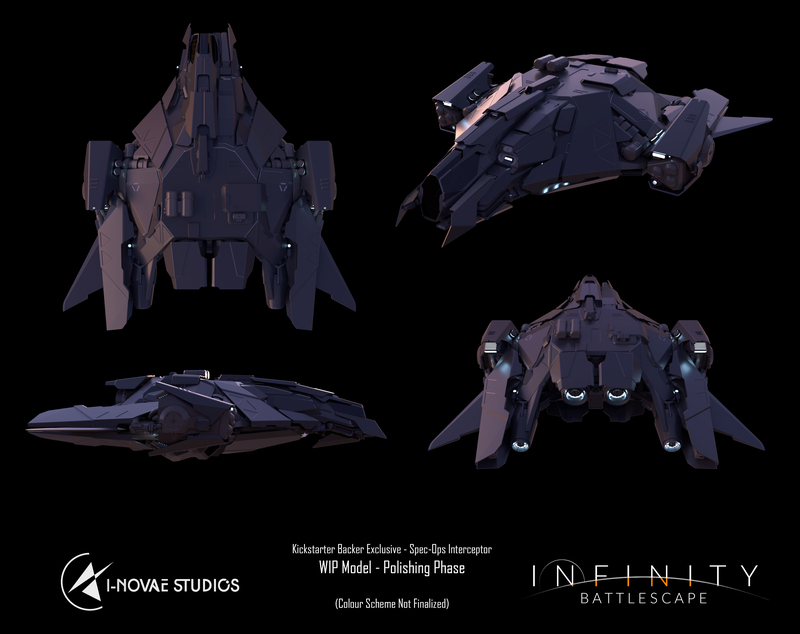 The mercenary variant reminds me of the Anubis stealth ship from The Expanse. Even if they have different designs they share the same stealth aesthetics. It’s really beautiful! I would like to know which backers will be able to use the skin!? It will be available only to Kickstarter backers who pledged $60 and more. You can verify your pledge here. If you will see “Lunar Supporter + LE Interceptor” under reward tier, then you’ll have it. I love the wingy bits so much. That is my new favorite ship design in the game with the carrier being a close second. Hmmm, just noticed those, and coming from E:D, I’m not a fan of “winglets”. E:D over-did it, with winglets and spoilers galore, like Fast and Furious in space. Maybe have them deploy when entering an atmosphere? Toggleable? If not, I’ll live. I’m okay with that but it sounds like a lot of extra work. If it’s too much work, then just have two versions imo. One with, one without. I must be catered to.